New pilots will find it easier to learn by facing in the same direction as the Phantom while standing behind it. Using this orientation, the controls on the transmitter will feel more natural – that is, if you move the right stick forward, the Phantom will travel forward, etc. If you have no familiarity at all with Quadcopters it is usually suggested that you fly some of the toy models first…just to get the basic idea of how things work. You can find more information in our beginners section. Assuming you have calibrated the compass earlier, place the Phantom 3 on the ground in front of you with the nose facing away and go through the startup process of turning on the transmitter FIRST and then turning on the smart battery. The Phantom will sing a startup tune. Make certain the 3-way mode switch on your Transmitter is set to the right (P mode). Open the DJI Go App (see: DJI Go App info for more) on your smart device (it should already be connected via USB to your Remote) and hit the Camera icon. This screen should display a yellow banner on the top which says Aircraft Warming Up. Within about 2 minutes it should turn green and display Ready to Fly (GPS). Check the map screen to make certain that your Phantom knows where it is – the triangle representing the aircraft should be at your current location. This is often referred to as the Home Point since it’s where your Phantom will fly back to if the RTH function becomes activated. Note – it it the author’s opinion that budding pilots should learn how to take off and land manually rather than using the automatic features. This will allow you to become a safer and more capable operator. NOTE: This book is not intended to replace or supplement the DJI quick start guide or manual, rather it is to familiarize the reader with the basics of the aircraft before a potential purchase. After you have finished this book and decided on a model, please download and read the manual and watch the official DJI videos. 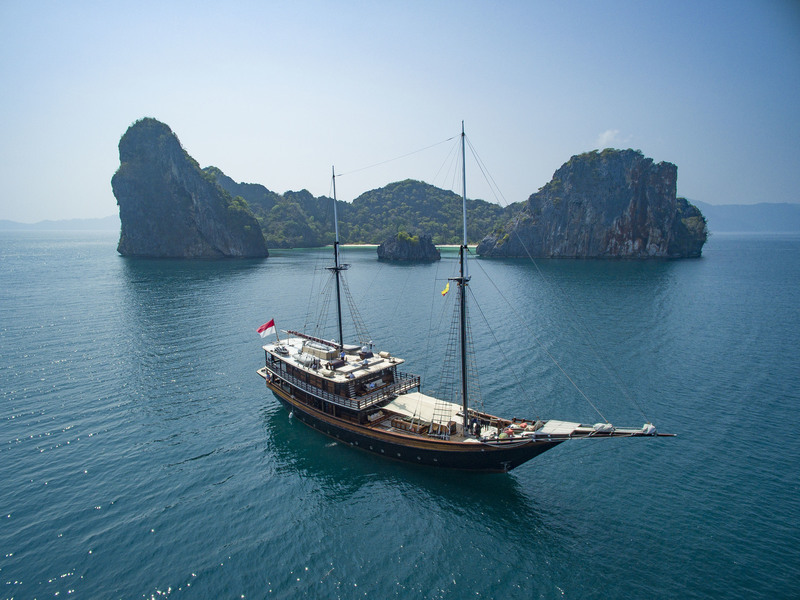 Continuing education is needed to get the most out of your Phantom – and also to avoid mishaps! Spinning Propellers can injure humans and animals – Phantom propellers could cause deep wounds or worse. Be cautious – do not fly near or over people, moving vehicles or animals. Make certain you are familiar with the startup process (arming) of your quadcopters. Newer pilots may want to consider propeller guards which are sold by DJI. LiPo Batteries can ignite as well as cause shocks. Do not charge batteries near combustible materials and do not charge unattended. Use specially made LiPo battery charging sacks or charge in a metal or ceramic container. Make certain there are smoke and CO detectors in the areas where you charge and store your batteries. Make certain that water and other fluids do not come into contact with your LiPo batteries. A guide to traveling (flying) with your DJI Phantom is covered later in this book. Falling or Crashing quadcopters can injure or kill. As stated before, do not fly over or near people, animals or moving vehicles. Use common sense in planning your flight path. Do not fly out of your line of sight (LOS). DJI sells through various outlets – from online giants such as amazon.com to many local hobby shops. In between these two are many online shops – from one-person operations to more sophisticated outlets. In the USA, the vast majority of Phantoms are sold online through one of these outlets. DJI even offers their own online store – linked directly from most pages of their web site at dji.com. What if the unit arrives and is defective? What if I ordered the wrong model – can I return it while brand new? Prelude – If you are a drone newbie or beginner and/or technically challenged we would caution you that this model – and, in fact, most delicate and complex camera drones over $1,000, are not for your first attempts at flying. The exception would be if you have a local hobby shop or dealer who is willing to do setups, troubleshooting and education. Most beginners should consult our series of articles and recommendations and start with the basics. The Yuneec Typhoon H created excitement at the 2016 Consumer Electronic Show in Las Vegas. Much of the buzz was about the Intel Realsense obstacle avoidance system slated to be included on the H. However, Yuneec was late in delivering Realsense (they are just starting to sell the Pro models now – August, 2016) and instead released the Typhoon H at a lower price of $1299 (about $1125 discounted on Amazon) without the Realsense module. Although they promised an easy upgrade, they are not currently offering this…the full Realsense H “Pro” (about $1899+) is currently the only way to get the full OA (Obstacle Avoidance) system. Our Typhoon is the standard model which also comes with a “Wizard” controller – a hand held wand that can substitute for the Remote controller in certain situations. Some customers have been confused by Yuneec shipping the H without the RealSense. There is a so-called “obstacle avoidance” front facing sonar built into even the base model but it is not very useful (low range, only front..not on aircraft bottom, not “vision” but sound, etc.). 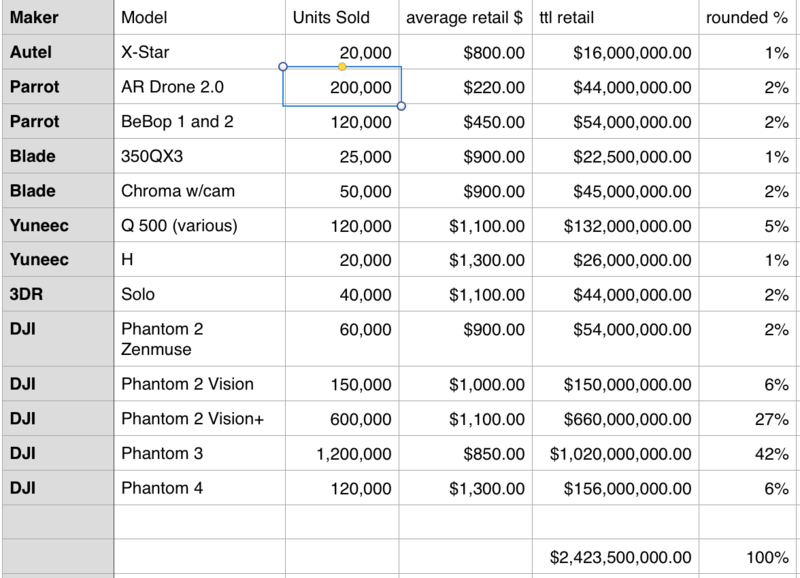 To clear up this matter, here are the three Yuneec H models and approx. prices as well as features. Base model – this is the basic hexacopter unit sold from launch until beginning of August, 2016. It comes with a single battery and no Wizard wand. Current “street price” is approx. $1100. Base model with Wizard – this is the same as #1 but includes the Wizard wand. Current “street price” is approx. $1180. YUNEEC Typhoon H PRO Hexacopter with Intel RealSense and Backpack- this is currently selling for approx. $1899. Only #4 above has true “computer vision and obstacle avoidance”, and so can be compared to the H Pro. All units have 4K cameras. At the end of our review we will offer specs, suggestions and opinion on the pros and cons of the various units. Note – Part 1 of this review is at this link. 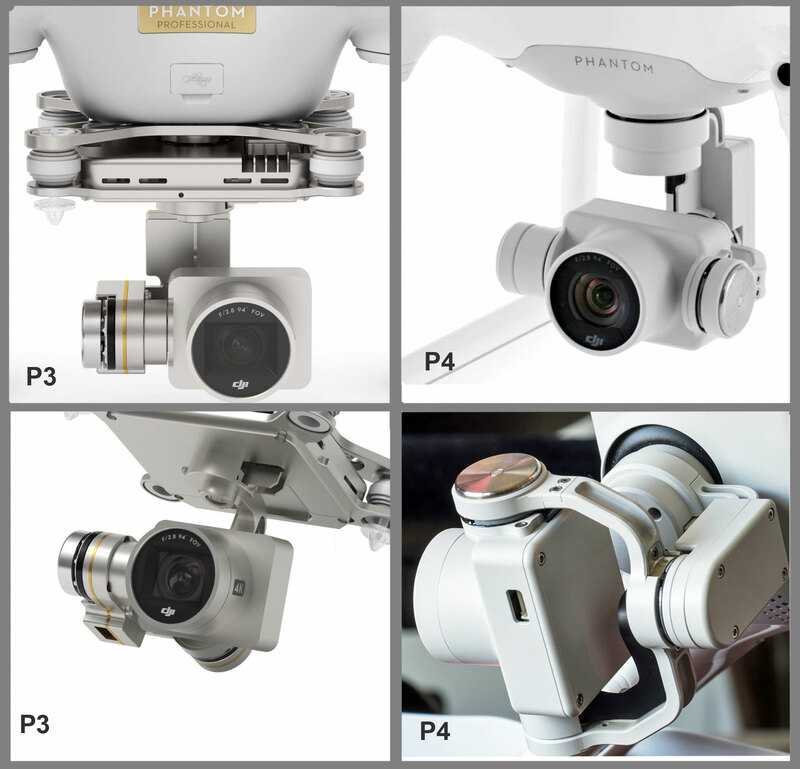 DJI Phantom 4 – First Flights and Rating – Part 2 – Camera, Gimbal and Propulsion System Improvements and Differences over Phantom 3 and earlier models. 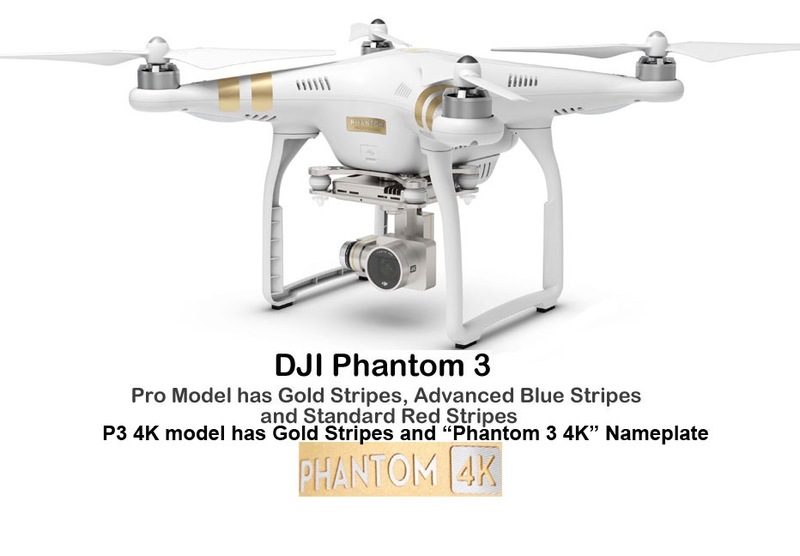 Thousands of articles and videos have detailed the features and workings of the Phantom 3 series of Camera Drones. 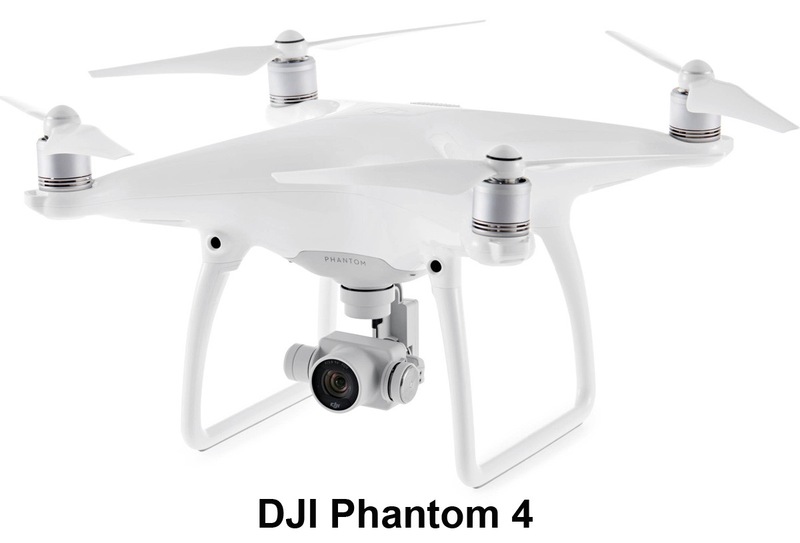 Rather than repeat these details, we will note the improvements in the Phantom 4. As we often note, the Phantoms are “Flying Cameras”…and so improvements over the existing models should be in the imaging (camera) and flight systems. The Phantom 4 features a completely redesigned Gimbal and camera body – both of which are designed to provide more stability and a better image quality. The Phantom 3 had the gimbal and the associated electronics mounted below the main body of the quadcopter. The pictures above (L) show that the camera is held in place on one side only – the left when looking at the Phantom from the front. A small metal arm then connects the gimbal/camera assembly to the external gimbal electronics. The Phantom 4 features a refined design where the gimbal holds the camera on both sides – see the lower right P4 picture above. The gimbal electronics have been moved to inside the Phantom body and are connected by much more robust shaft.